From the Fausto Puglisi X Marina Rinaldi Collection. 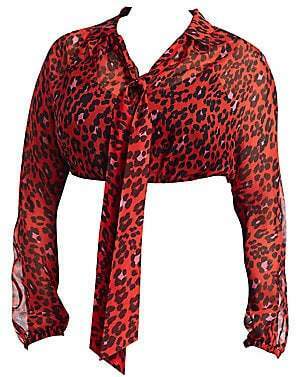 Silk chiffon animalistic print blouse featuring neck tie. 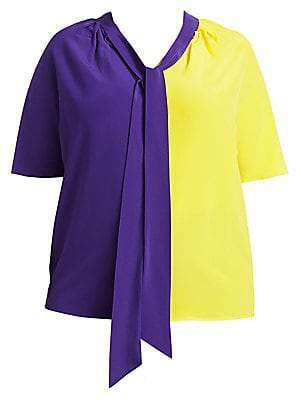 Spread collar with self-tie Blouson sleeves Concealed button front Silk Trim: Acetate/silk/polyamide Dry clean Made in Italy SIZE& FIT About 25.5" from shoulder to hem. Salon Z - Rinaldi Salon Z. Marina Rinaldi, Plus Size. Color: Red. Size: 18W.